When all that was known about The Legend of Zelda: Skyward Sword was the notorious single piece of artwork, that didn't stop gamers lapping it up. They knew that a much-loved franchise in the hands of a developer with an impressive catalogue of releases can't go wrong. And it's that same kind of expectation which the recent debut art from Telltale Games's Back to the Future episodic adventure which makes it so exciting. 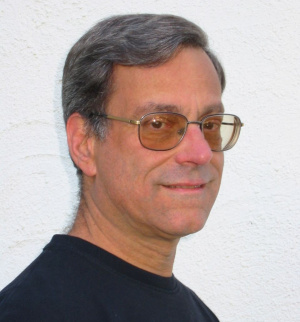 Bob Gale, who co-wrote the screenplay for the original film and wrote that of the other two parts of the sci-fi trilogy, has been involved in story meetings with the developers that brought us the acclaimed Tales of Monkey Island saga, and is making sure that what gets made feels like Back to the Future. What Gale is looking for is a level of consistency that past adaptations didn't have, specifically picking out an NES release that he describes as "dreadful" and "one of the worst games ever made". Ouch. My understanding is that the first instalment – this is a computer game, not a console game – they'll be coming out in instalments with the levels released apart, I don't know what the exact schedule is... I think they're looking towards the end of October, beginning of November to release the first level. ...the Back To The Future series has postulated how you could have almost infinite timelines. Who's to say that the timelines we create in the game couldn't be alternate timelines?
" NES release that he describes as "dreadful" and "one of the worst games ever made". Ouch." He's right. And I'm very interested in this. Keep the news coming, I wanna see some full-on WiiWare confirmation! @the shpydar Nice reference. I applaud you. November 5th 1955 to be exact. If you can ride a Mattel-branded Hoverboard, I'll be sold on this game. Good to hear both Matthew Fox and Christopher Lloyd are coming to voice the characters. This is looking good. I may just watch the 3 movies in anticipation. But the thing that's annoying me is this: is that guy in the picture The Doc.? "Jack, that nuke isn't good enough. There's not enough power to send us back to 1985! They changed the script, we now need 1.21 Jigowatts! We need a bolt of lightning!!" Aviator, Michael J Fox is not confirmed as a voice actor yet. Also, it's slated for release on Wii, but not necessarily Wiiware. I think it would be better a s a disk based game anyway, compiled after the season wraps on PC etc (like Telltale have done with Sam & Max). 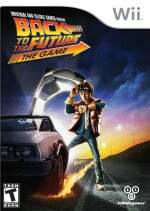 According to IGN, this game isn't based on the movie trilogy but the further (not necessarily future) adventures of Doc Brown and Marty McFly, and they're being careful not to mess with movie trilogy canon. Does this mean Doc has the time-traveling train along with Clara and his sons, Jules and Verne? If that's true, I hope Mary Steenburgen can reprise her role as Clara.